Why gorge yourself on candy alone when there are so many sweet things to make with your favorite treats? Halloween candy is super fun on Halloween, but what do you do come November when the party's over and you're stuck with all the leftovers? Whether you're looking for ways to repurpose your extra candy or to show up your friends by having the best Halloween party snacks, these delightful desserts will take your Halloween candies to the next level. Sick of eating all that candy corn? Dress it up in these monster-like cookies from Milk Bar’s Christina Tosi and it will give the orange and yellow candy a second life. Let's start with the most iconic Halloween candy of all: candy corn. If handfuls of what's basically pure corn syrup don't quite cut it for you, you can step up your candy corn game by baking them into these delicious cookies. Candy corn is…well, let’s just say candy corn is polarizing. One thing almost everyone, candy corn critics and apologists alike, should be able to agree on though, is that deep-frying something makes it delicious. 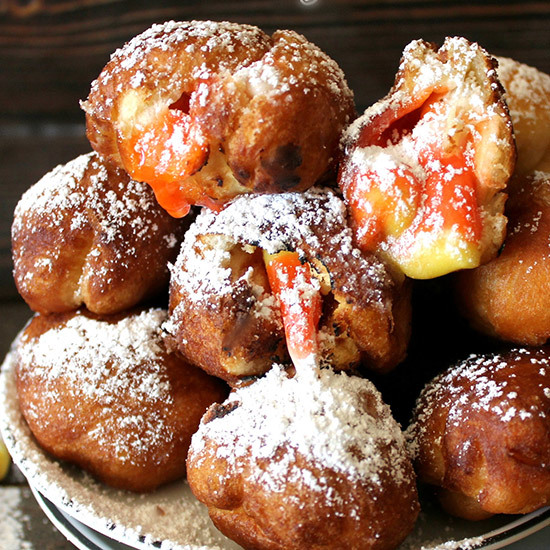 Or, for a somehow even more indulgent approach, you can deep-fry your candy corn with this ridiculously decadent recipe. If you’re being honest, there’s no way you or your son or daughter are going to eat those Andes mints from that house up the block that clearly failed to plan ahead. 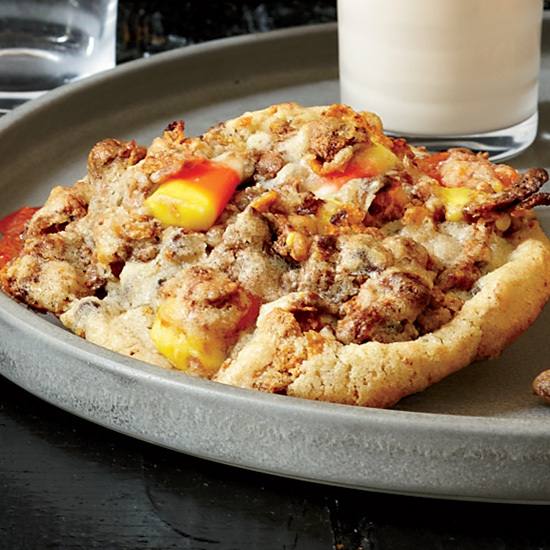 But, you can chop them up and use them in these thumbprint cookies from Matt Lewis and Renato Poliafito. If minty chocolates are your Halloween candies of choice, like Junior Mints, York Peppermint Patties, or Andes, you can mix them into the batter of these chocolate-mint thumbprint cookies. 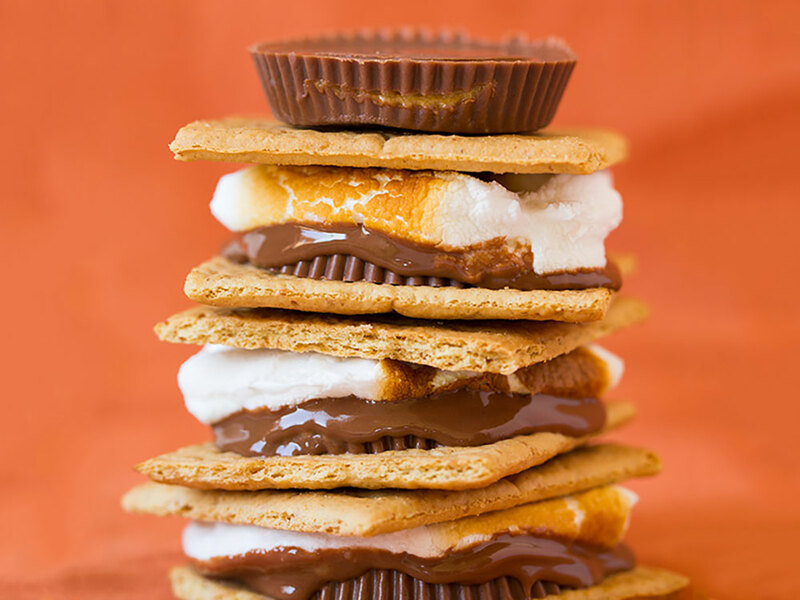 For minimal effort and maximum reward, you can repurpose your Reese's cups into these peanut butter s'mores. These crumbly, ultra-peanutty cookies require only four ingredients: puffed-corn cereal, peanut butter cups, peanut butter and chocolate sprinkles. The powdery texture of the ground cereal prevents the cookies from feeling sticky. 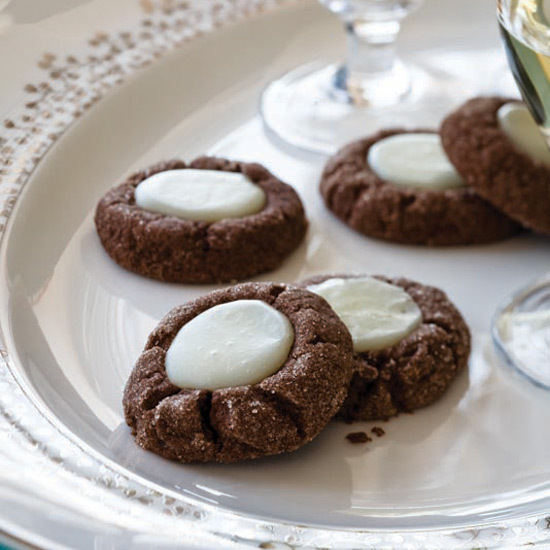 These are perfect for when you want to eat cookies in just thirty minutes. So basically all of the time. For another bake-free Reese's cup option, you can make these refrigerated chocolate peanut butter cookies. If you want a party snack that really pops (what? 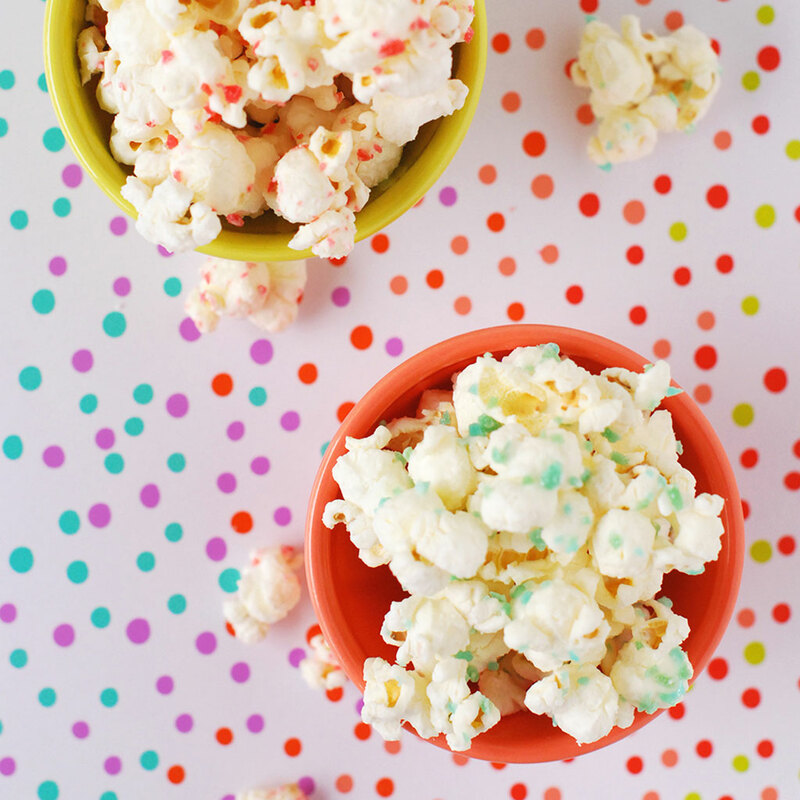 we had to), try unloading your extra Pop Rocks into this white chocolate-coated popcorn. Stuck with dozens of fun-sized packs of M&M's? Try baking them into these soft and chewy peanut butter cookies. 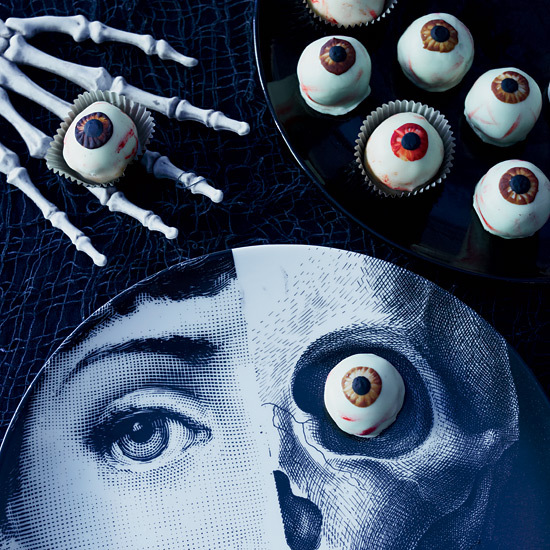 If you want to keep the ghostly magic going beyond October 31, these eyeball-esque cake balls are enough to creep out any dinner guests you have coming post-Halloween. The M&Ms popped in as the pupils make good use of the melt-in-your-mouth-not-in-your-hand chocolates. Or you could take a more sophisticated (but still spooky!) route and use your M&M's make these white chocolate-coated red velvet cake balls. With a little bit of carefully applied food dye and some well-placed M&M's, they turn from charming treats to creepy eyeballs. These little bonbons are an excellent use for your leftover Mounds bars, assuming you still do, in fact, still feel like a nut instead. 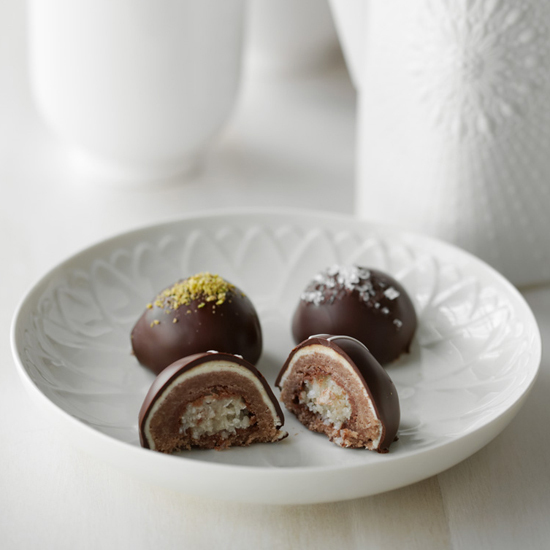 Another more sophisticated option: these truffle-like cookies, inspired by a traditional German holiday cookie, are filled with your choice of soft-centered chocolate candies. Top Chef judge Gail Simmons’s father, Ivor, comes from a small town in South Africa. Although his background is English and Eastern European, he was raised in a region with strong Dutch influences. One Dutch passion he passed down to his daughter is a love of black licorice, specifically a salty, chewy variety. Whenever their family visited his homeland, Ivor stocked up on dubbel zout (double salt)—coins of salted black licorice about the size of a quarter. Simmons devoured them, relishing the savory, saline exterior that gave way to the barely sweet, chewy center. Her father’s other sweet vice, which she also inherited, is chocolate. Not white, not milk, but the pure bittersweet kind. This deeply dark-chocolaty brownie is her homage to him. 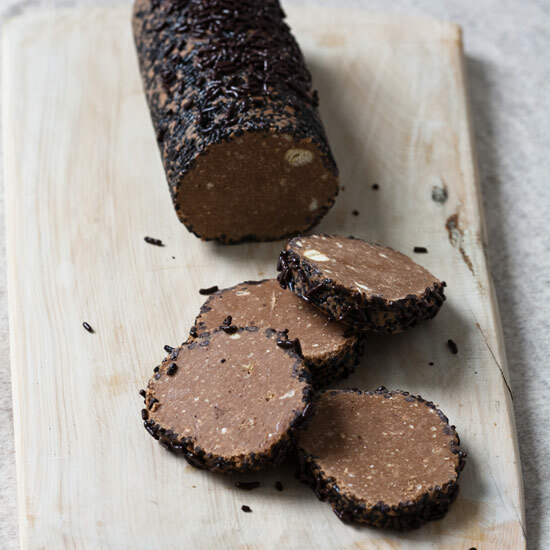 It has a sophisticated touch of salt, plus notes of molasses and anise from black licorice, and the combo makes a brilliant treat that is irresistibly chewy and not too sweet. Of course, there is such a thing as sophisticated to a fault, like if your idea of Halloween candy is the strongest black licorice you can find. 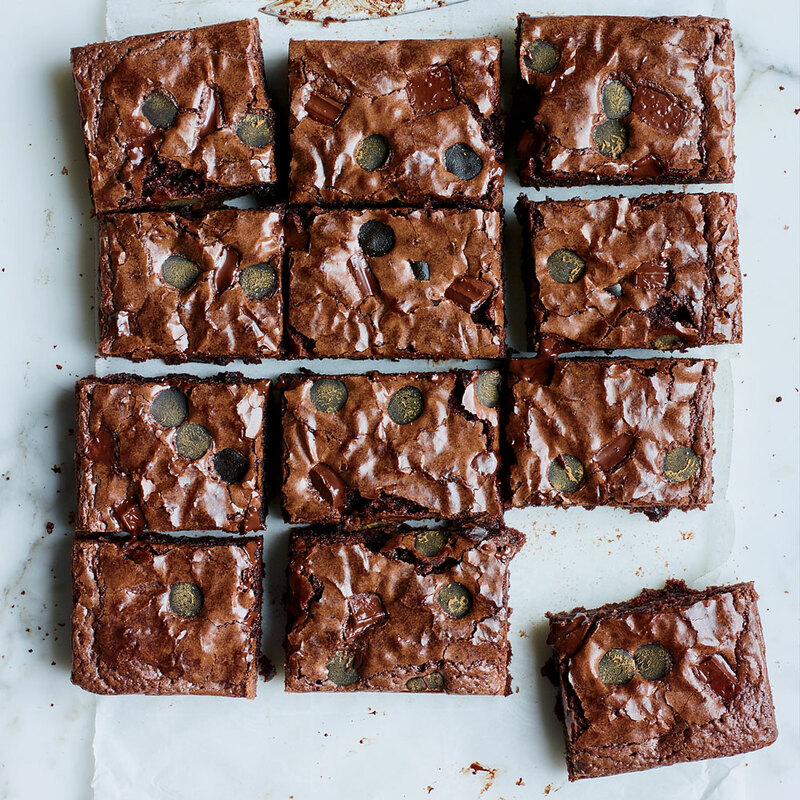 If that's you, you can savor it by baking the licorice into these rich, chewy brownies.